Most people trust their doctors and healthcare providers to do everything in their power to make them better, so when a doctor makes a mistake, it often goes unnoticed. Like they do not with police officers and lawmakers, people do not question the actions of their physicians, and most assume that when a doctor performs an action or makes an order, they have their best interests in mind. Unfortunately, this is not always the case. Doctors are people too, and they can and do make mistakes. When they do, the patient may experience complications post treatment, and they may even receive a blasé explanation for it. However, most doctors and healthcare providers are not apt to admit to doing anything wrong, so in order to know what really happened, a qualified Miami medical malpractice attorney may order an investigation. If you have the niggling suspicion that your doctor was negligent in his or her care of you, and if you want to know for sure, reach out to the team at Spencer Morgan Law for legal assistance. Our team will order an investigation and help you determine whether or not you have a case. However, before reaching out to our team, there are a few signs of medical malpractice that you can identify on your own. Sometimes, a patient is simply dissatisfied with the treatment of him or her. Maybe the doctor did not prescribe the course of treatment they wanted, or maybe the physician did not write a prescription for painkillers or antibiotics or whatever the patient was hoping for. This is not medical malpractice. Medical malpractice occurs when the patient receives medical care that results in a preventable injury. This preventable injury was most likely the result of negligence on the part of the provider, such as the provider’s failure to order the appropriate diagnostic tests or to administer the right course of treatment dictated by the patient’s symptoms. That said, doctors are people too, and as such, they too are prone to making mistakes. Some mistakes amount to nothing more than a scratch or a short-term flesh wound. A minor injury such as this would not result in a viable medical malpractice lawsuit. So, what does amount to a successful lawsuit? That the harm has resulted in serious injuries and costly damage. In order to have a case, a person must file his or her case within two years of the alleged action or non-action, or within two years of discovering the injuries that resulted from the alleged negligence (Florida Statutes 95.11). 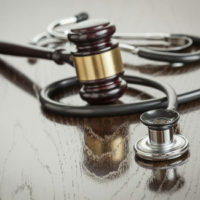 At Spencer Morgan Law, our Miami medical malpractice lawyers are armed with the knowledge and experience necessary to help you build a solid malpractice case. If you suspect that your doctor or medical provider was negligent in his or her care of you, do not wait until the statute of limitations has passed and reach out to our legal team today.